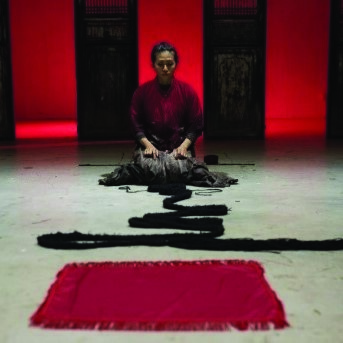 Taipei-based Sun Son Theatre fuses instrument, voice, body, drama, ritual and environment, traditional and folk elements, symbolic objects and contemporary theatre to explore the inner self. Its work is characterised by an organic performance energy free from racial and cultural boundaries. Heart of Darkness is inspired by choreographer Low Pei-Fen’s grandmother, her long life gradually eaten away by time. It uses the symbol of her long hair and ritualistic imagery to describe a woman’s journey through life; her aspiration, expectation, ambition and fear. It asks if the paths we choose are irreversible and attempts to understand that grandmother and other women who are slowly forgotten.